Lovejoy writes from London: If I were Lord Leveson, who is heading the inquiry into media ethics triggered by the revelations of phone hacking at the now defunct News of the World from the News International stable, I would have walked away from it weeks ago. 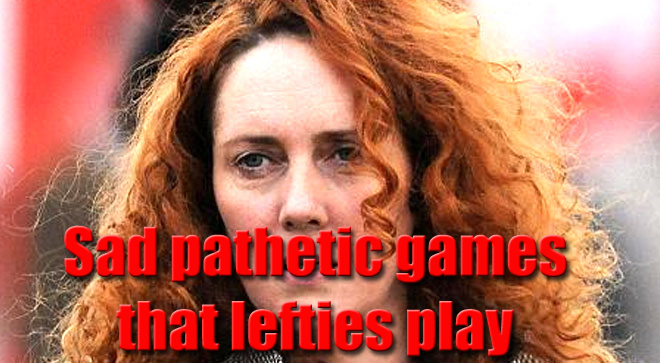 This weekend the Sunday Express published Rebekah Brooks and husband in relation to phone hacking scandals is a witch hunt, The Daily Star in the UK reported headline was Fury Over Weak And Unjust Charges. The Scotsman described Rebekah as baffled about the situation and police charges against her husband. The digital SPy linked her being baffled about conspiracy charges, nothing new there. Further afield in New Zealand online journals report the relationship with Rupert Murdoch could mean some sort of cover up campaign to keep the Rupert Murdoch case going. In India the Economic Times calls it the rise and fall of Rebekah Brooks.